Dr Lee Simmons of Agbiome making a presentation. The visit was arranged to establish collaboration with IITA principally in sample collection to discover new and potentially beneficial microorganisms that would control nematodes in yam for medium and smallholder farmers, and also to benefit from IITA’s expertise in developing AgBiome to be the world’s leading agricultural biotech company. 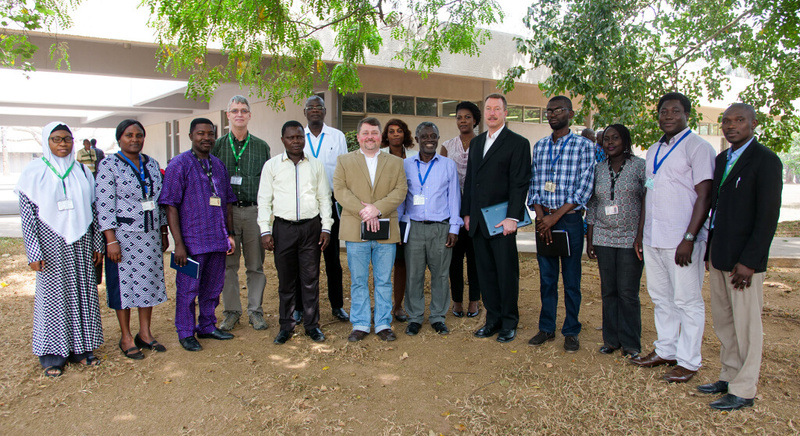 AgBiome representatives with some IITA staff led by Dr Robert Asiedu, middle (in blue long-sleeved shirt). 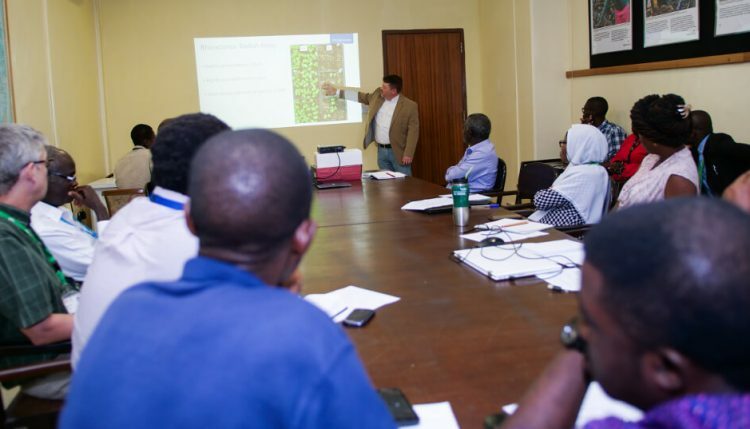 AgBiome is a private biotechnology company and uses new knowledge of the plant-associated microbiome to create innovative products for agriculture.